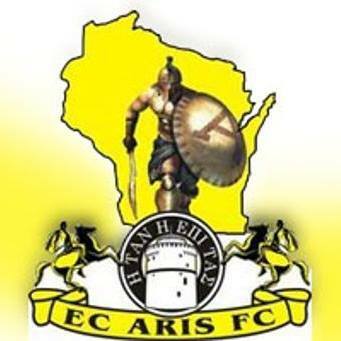 Founded in 2008 and playing its first NPSL season in 2009, La Crosse Aris is a well-known club throughout the lower league landscape of the upper Midwest and a member of the more-recently formed NPSL North. The team’s legacy however, is far more complicated than its veteran status and year to year results may suggest. In search of what drives the club and its origins, I spoke with its founder, Greg Saliaras. Saliaras founded the club as a tribute to his hometown club, Aris Thessaloniki of the Greek Super League. “It’s a team that’s been established for over 100 years. It’s one of the most historic clubs, especially up in the north in Greece. It has some championships and cups, it’s had some big European moments… I grew up as a fan of the team and always aspired to play for them… we have tried in the past to build contacts with them… as of this point our closest point has been having a former player as our coach for several years.” Aris Thessaloniki was promoted back into the Super League last season and is sitting in seventh place as of the writing of this article after suffering relegation in connection to financial troubles. Aris’ time in the NPSL North- and the NPSL in general -has been a tough history of bottom-of-the-table finishes. The club has a combined 0-2-26 record in the NPSL North and has finished last in both of its seasons. However, the nature of the club reveals that the observer should not allow these results to simplify the team as one that just can’t make it click. The team, based in the Wisconsin town of La Crosse, is the only lower league option in an area vastly under-targeted by the soccer community. This has helped form the club’s goal, which is not necessarily to collect points, but rather to pursue development. “We are a team that doesn’t really compete with points, it’s more of a development team. We are in a small market and we always use the team as a vehicle for the 16s, 17s, 18s, and early 20s to get experience at a higher level… and prepare for college.” This approach, while often tough, does bring about positive results. “This last year we had a kid from Holmen, which is an even smaller community than La Crosse. After playing for most of the season with us he went to Greece for a month and a half with a semi-pro team over there just to experience the game over there.” It’s these younger players that call LC Aris home that give the club purpose in its purest sense; to provide paths for local talent to find opportunities in the game in college and beyond. As Saliaras mentions, the Wisconsin scene is one dominated by eastern cities, while western centers- even those with a collegiate presence like La Crosse, Eau Claire, and River Falls -are often left completely off the guest list. Aris’ experiment, while a challenge, does not lack the occasional prize. 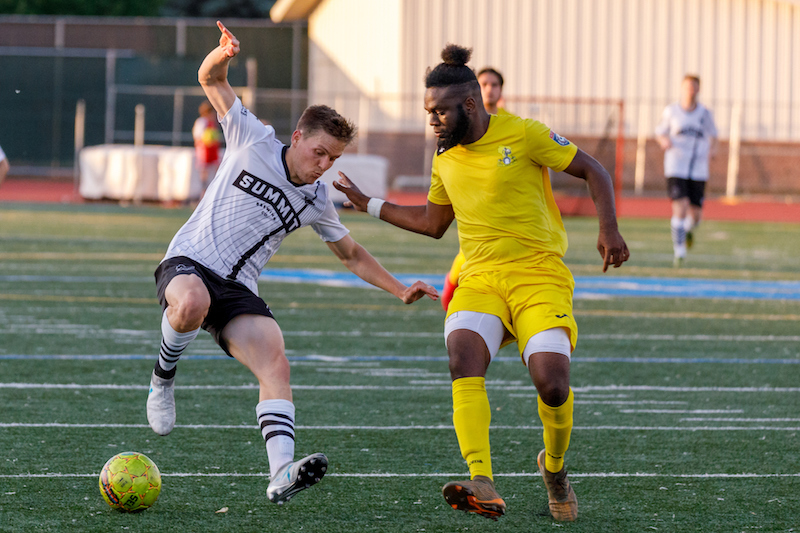 Aris’ earned attention during the 2018 NPSL season when it drew the conference champions, Minneapolis City, 0-0 and sent the Crows’ title claim into a brief chaos. The draw, though not entirely expected, is a source of positivity for Saliaras and the club. “We snuck up on them, we had a few other close games too. Toward the end of the season the team really came together… By midseason, we always put a bit better product out there. We almost snuck up on a couple teams actually.” That they did, putting up real fights against Dakota Fusion, Sioux Falls Thunder, and Duluth FC. Asked to summarize how things felt about the both famous and infamous draw, Saliaras simply said that Minneapolis “Were not very happy,” a situation that Aris couldn’t help but enjoy and feel was well-earned. I asked Saliaras about those improvements and how the club, which admittedly focused more on development than results, felt about the fact that it may very well be able to get better results. “Next year we are optimistic. We’re working on a couple deals right now to find different avenues to bring better plays in to support our talented players from last year… we are looking forward to next year.” With several clubs, particularly Sioux Falls and Dakota Fusion, managing to float above Aris with thirteen and fifteen points respectively, the idea that a few wins could change Aris’ reputation is anything but unwarranted. Remember that club from the beginning of this article, Aris Thessaloniki? The club that had great passion and big moments but, until recently found itself spending three years in the second division due to financial issues? Aris Thessaloniki went from the highest of highs to quite a few lows over the last several years but has found itself back in the big time, playing against the giants of Greek football again. It is that fighting spirit and will to continue regardless of what happened the week before that we now see in La Crosse. Perhaps, just perhaps, in the near future we might see the club that put development before points finding itself following in the footsteps of its namesake, pulling itself up from struggles and making the best of the best remember its name. Until that time, La Crosse will continue to develop young talent and continue to play the beautiful game.